Facial Synkinesis is a common complication of not fully recovered, long standing Bell’s palsy. Synkinesis are abnormal facial movement patterns that form during the delayed regeneration of facial nerve after BP. Usually it is either an involuntary narrowing of the eye fissure during speech or smiling, or an involuntary movements of the mouth corner that come together with blinking. The former is called oral-ocular synkinesis and the latter ocular-oral synkinesis. There are other variations of facial synkinesis that involve frontal muscle (raising eyebrows), platysma (surface muscle of the neck) or the circular muscle of the mouth. There are several opinions in the medical world about the causes of synkinesis. The most popular (and still controversial) is the theory of aberrant regeneration or simply said, random re-connection of regenerating branches of the facial nerve to the “wrong” muscles. As a logical conclusion of this theory, Synkinesis is considered to be an irreversible complication of the long-standing Bell’s palsy. 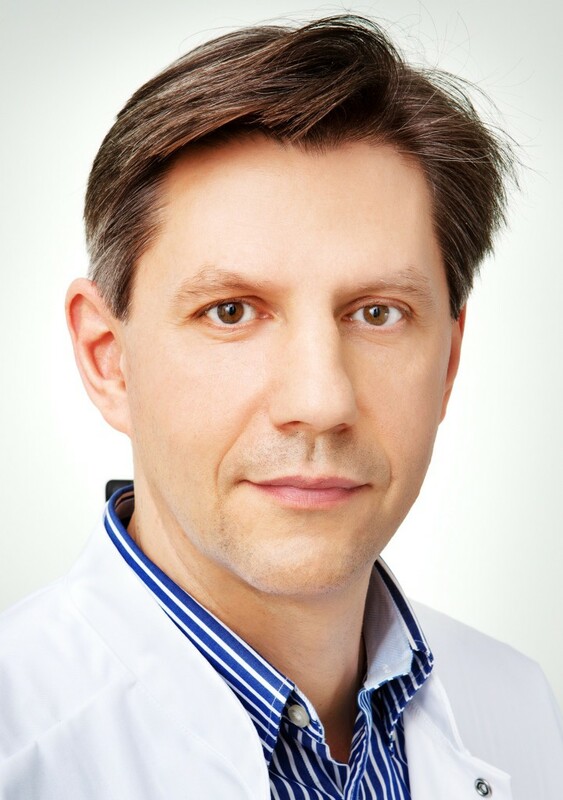 The results of an extensive study and research of facial synkinesis at Crystal Touch clinic allow us to conclude that SYNKINESIS IS REVERSIBLE and that the theory of aberrant regeneration (mis-wiring) with relation to Bell’s palsy is not free from some controversies. Just as each copper wire inside the telephone cable is insulated and mechanically protected by its own plastic tube, the same is true for axons of the facial nerve. 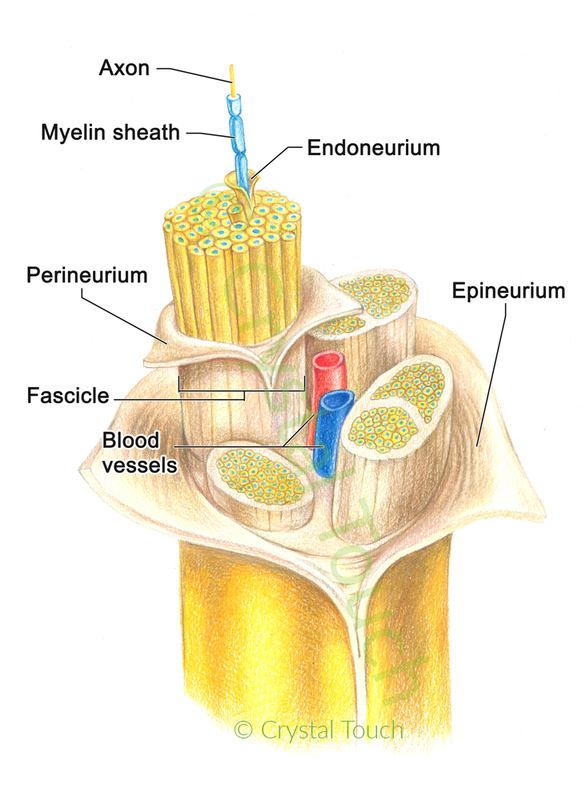 Each axon (nerve fiber) is enclosed in its own “tube” called endoneurium for protection. Groups of axons that innervate the same facial muscles are grouped into bundles. Each bundle is covered for additional mechanical protection with another, outer “tube” of connective tissue called perineurium. After leaving the trunk of the nerve, those bundles form larger or smaller branches of facial nerve that go to various parts of the face. When Bell’s palsy occurs, the wires (axons) become damaged from compression by the swollen surrounding tissue or from a disrupted blood supply. However, the trunk and “protective tubes” (endoneurium and perineurium) in this case remain intact. Therefore, regenerating axons can re-grow only within the hollow spaces of endoneurium and only towards their “own” targets – respective muscle fibers. Conclusion: if the trunk of the nerve was not mechanically interrupted, it is physically impossible for regenerating axons to reconnect to the muscles in the different part of the face. Otherwise the growing axons would have had to overcome two endoneural and two perineural tubes to reach the “wrong” muscles. Aberrant regeneration (re-growing to the wrong muscle) can indeed occur, but only if there was a mechanical damage to the trunk of the nerve, for example during surgery or as a result of the accident involving broken temporal bone.